My name is Colita Dainton and I am a Master NLP Practitioner of, Hypnosis, Time Line Therapy™ and a Master Coach. I sound like I am in an AA meeting! 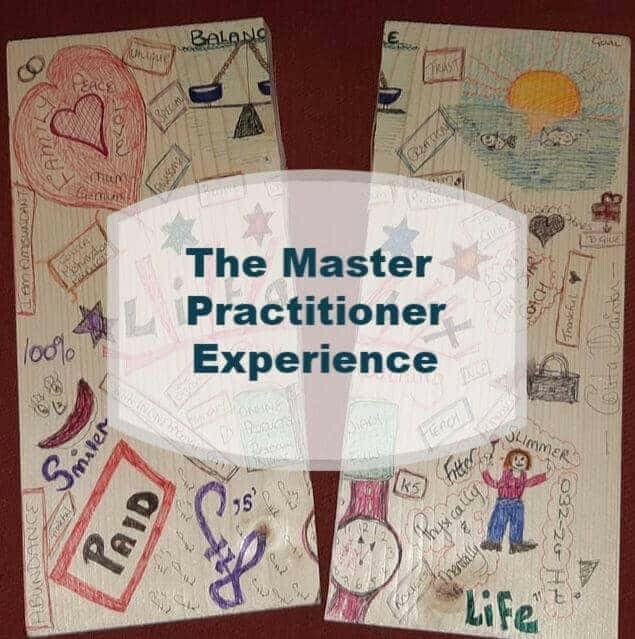 I thought it would be helpful to share my take on the NLP Master Practitioner Qualification and experience. 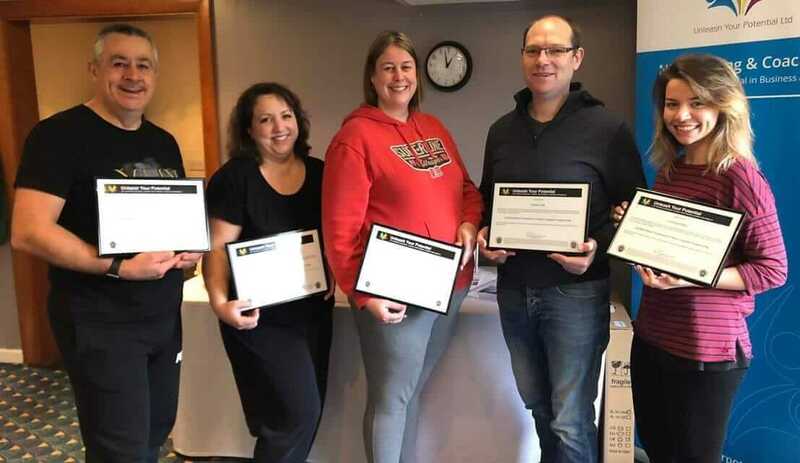 The NLP Master Practitioner qualification is the ultimate certificate to gain and means that you will have already completed the certified NLP Practitioner and NLP Coach courses and passed!! After finishing these courses I decided that the time was right to step up to the next level. Pre-Course study in the bath!! Part of the commitment is the pre-course study, which started with a delivery of a comprehensive training manual, one very small memory stick, bursting with 14 videos and an email with instructions including the open book test. The first step was to set my intention, that I was going to fully immerse myself in the training and apply the learnings to myself, then plan the time to watch the videos (twice!). I knew this training was going to be in another league. I managed to become quite skillful at watching the videos, they came with me to various places including the bath – nothing like a long soak and some full-on quantum linguistics. There are some fairly complex concepts discussed and I must admit the graphics and short films really helped to embed the learning, even if sometimes I found myself talking to the screen and wishing Bruce would answer my questions or stop telling me this was easy. The pre-course study was intensive and at some points, I thought “I have no idea what I am doing here!” The advice was always to trust the process and if you follow the process you will get the results – this is a fundamental concept in NLP. If you trust yourself and your unconscious mind, it is always listening and taking on board all that’s going on. I passed the exam, then the real work started! Day one, I arrived in the familiar surroundings and the “NLP bubble” as it’s affectionately known welcomed me with open arms. On every training course I have attended with Unleash Your Potential there has been a warm and welcoming experience and Masters was no different. It was great to meet my classroom buddies and to feel the nervous excitement inside the room. After completing my certified Practitioner and NLP Coach courses, I felt so different that I had no idea how Masters would compare. Well….Masters is another level! Within the first few hours, we had experienced some jaw-dropping moments and read someone’s thoughts without blinking. All that we had learned was now to be pushed aside, not forgotten but renewed with intuition, clean language and supercharged techniques. I have to admit there was a lot of swearing on my course…mainly from me, being totally blown away by what we were being taught. The first week flew by with quantum linguistics, prime concerns, cartesian logic, strategies, Milton model patterns and so much more. In fact, I am struggling to recall what happened when, but I do know that we ended week 1 with a board break! We had been handed a wooden board and encouraged to decorate them at the beginning of the week, goals on one side, obstacles on the other. On Saturday we were told, we would be breaking the boards with our hands!! As you can imagine, this caused some minor concern and interesting coffee break chats. There may well have been some limiting belief removals happening too! The board break is actually all about modeling and strategies. In NLP we recognise that everyone has strategies that they run every day. If we take an expert and elicit his strategies of how he does his particular skill, taking into consideration his thoughts and physical movements, double this with his values and beliefs, we should be able to replicate his skill. In fact, there was no should about it – we all did!!! The emotions you feel when you break that board, are hard for me to put into words! Relief, astonishment, empowered confidence are a few…I think we all felt a huge rush of emotion and I remember shaking with adrenaline and thinking quietly to myself…”Wow, I did it, I smashed it” and feeling so proud and energised, I was on cloud nine! I look at my board every day as a reminder that my barriers are just a thought change away! You can watch the board break video and see how excited we all were to successfully break our boards! That ended week 1 and we were given a modelling project to complete with an expert of our own before returning to the classroom a few weeks later. The 2 day breakthrough is the culmination of all of the learnings applied to yourself with a partner. You take turns, one day you are the coach, the other the client. You are allowed to choose your breakthrough partner and I found we all built a strong bond with that person throughout the training whilst discovering their values, direction filter and their personal life story. Let’s just say the breakthrough smashes all of your limiting beliefs, unhelpful thinking patterns, negative motivations and so much more. You have to give 100% and your coach will work with you to align your values, change if needed your values levels thinking and secure that clear focus for the future, all mixed with humour, kindness and intensive questions. The clarity you gain is quite indescribable and If I didn’t know better I would have thought I was on drugs when it was over, everything just seemed in high definition around me! Our final day was our modelling projects which we all taught to the rest of the class using our skills we had learned previously. At the end of the course we were awarded with our certificates. I have to say this was an emotional affair as we were all super proud of ourselves and each other. I guess I should mention Laura, the glue that holds all of this together and makes it all possible. She truly is an inspirational trainer. She gives you the opportunity to explore, gently pushes you for more and kicks your backside if your slacking (metaphorically). Her experiential and easy style makes the learning fun, engaging and there is never a dull moment in the training room. If you would like to join Colita and become one of our Master Practitioners, please get in touch and we will be happy to help.